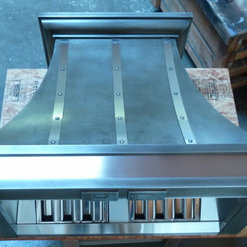 Custom metal fabrication, metal decor for your home and business. 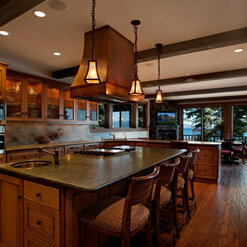 Helping you design a one of a kind piece that will bring beauty to any style home. We pride ourselves on quality craftsmanship, originality and the desire to exceed expectations. 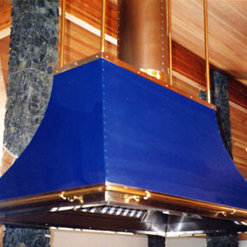 Specializing in kitchen exhaust hoods, counter tops, light fixtures, chimney caps, wall treatments. Dave is my hero! 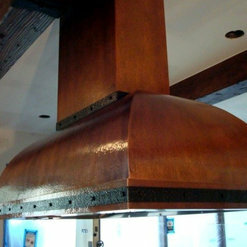 We collaborated on a custom zinc hood, and the results exceeded my expectations. 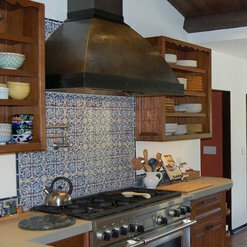 Dave has decades of experience, yet he is open to suggestions and trying new ideas and finishes. I can't wait to work with him again. 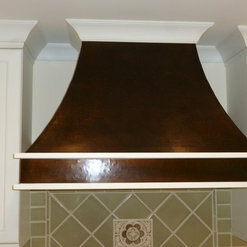 Dave did a beautiful job on my hood over the cooktop. He was professional and had wonderful artistic suggestions. Thanks. 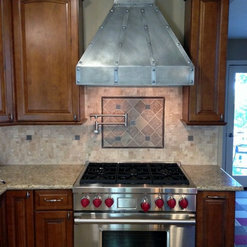 I had Dave make a zinc counter top and stove hood for my newly remodeled kitchen. Even though I am very particular he was able to exceed my expectations...it's beautiful! He's very good at what he does, the job was done within the estimated time frame and budget and he's a very pleasant person to do business with. I will call him again if I come across more projects like this and definitely recommend him to anyone who needs metal work done! 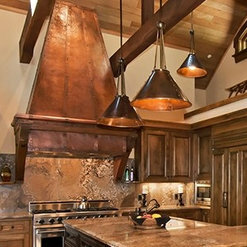 I came to Dave with an idea for a copper fountain, and I couldn’t have found a better collaborator and craftsman. Dave spent time working out the details of the fountain, emailing drawings for approval, and quickly producing a gorgeous copper trough at a very reasonable price. 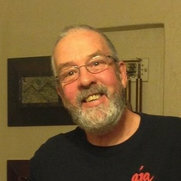 Dave is responsive and reliable, and I can’t recommend him highly enough. 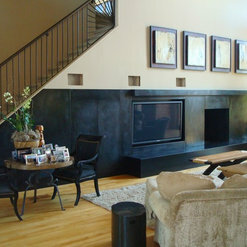 Cathy A.
I am an Interior Designer in Northern California and have worked with Dave on several projects. 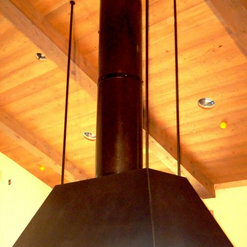 He has fabricated an amazing 30' blackened steel wall for one design project in Northern california incorporating TV, fireplace, wood storage, and an enormous amount of components. The wall is stunning and so is Dave's workmanship. 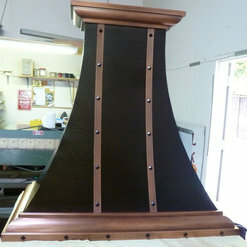 For another project, Dave was asked to combine steel, copper and brass panels to wrap around a master bedroom wall. The finishes were all textured to varying degrees and ranged from dark to light in finish as the panels progressed down the wall. Very beautiful finish work. 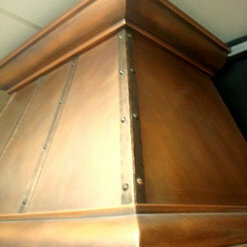 Dave has crafted hammered copper range tops for another mountain project. He is always professional, time sensitive, and helpful in the design process. Dave is absolutely wonderful to work with. He is fast, efficient, and does beautiful work. We have used him to make custom hoods and more mundane roof caps and gutters. I highly recommend him! !